Continental School District is changing the name of our Spanish Immersion classes to Dual Language Enrichment this school year. We believe this name change better characterizes the nature of these classes. This is the seventh year that Continental will incorporate dual language into the school curriculum. The immersion program offers children an opportunity to learn and be challenged by the use of the Spanish language. Not only do kids learn a second language, but students also find that other skills and brain development are enhanced by the additional stimuli a second language presents. Dual-language instruction also enables students to interact with others while gaining a greater understanding of and respect for another culture. The goal for students will be to achieve a level of exposure to a new language by listening, speaking, and communicating in both English and Spanish. All students in the dual-language enrichment classes receive the same curriculum and have the same standards as all other students in the same grade. 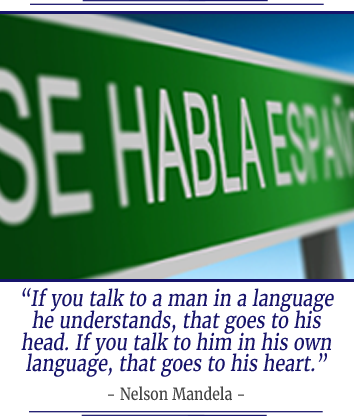 Spanish is the second most widely-spoken language in the United States, and continues to be a leading language in international business as well as local trade. Years of research studies document the importance of dual-language education. These studies recognize the importance of language in helping students achieve a high level of language proficiency. These studies have also shown that younger children thrive in this type of learning environment. What can parents do to help children succeed in the dual-language enrichment class? Commit to participation in the program long-term so that your child can develop advanced-level language skills. Read with your child in English 20–30 minutes a day. Encourage the use of the Spanish language outside of school. Enjoy the challenges and celebrate the results.